On today’s show we talked about how women are the tone-setters of their homes. As women we have so much power in creating the atmosphere of our home. Our attitudes and beliefs affect the atmosphere of our homes. We have the ability to create a cheerful, peaceful home, or our homes can be marked by irritability and a heaviness of burden. Freezer Meals are a great way to save time and stress when it comes to prepping dinner! One of the ways to created more peace in the home is to not be hungry with no plan. Here are 6 meals you can make in 60 minutes, freeze them, and pop them in a crockpot any time you want a delicious dinner later on. I recommend the cookbook, From Your Freezer to Your Family by Stephanie Brandt Cornais. It is a great freezer meal cookbook for beginners with very simple but delicious recipes. I used recipes in this book to prepare freezer meals for my family before the arrival of our second baby. 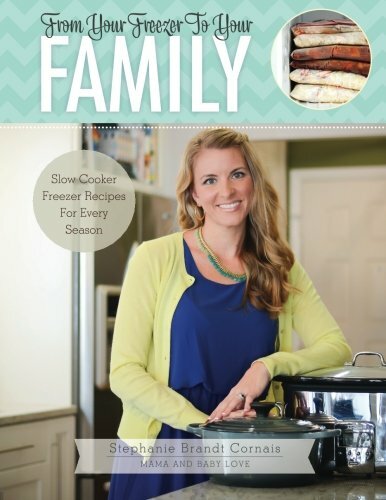 This cookbook is an affiliate link.